Ours but to do or die! Nearly every season in recent memory has included a question about a city or cultural moment from Germany (especially western Germany). Examples include Mannheim of Steamroller fame, composers of Stuttgart, and the full name of the city of Frankfurt-am-Main. We're going to see if we can anticipate Thorsten's apparent affinity for the region ahead of LL77. During the time of division between Eastern and Western Germany, first West German Chancellor Konrad Adenauer argued that the West German capital should not be in a major city such as Frankfurt (as this would imply a permanent capital), instead locating most de facto government functions in what relatively small city? 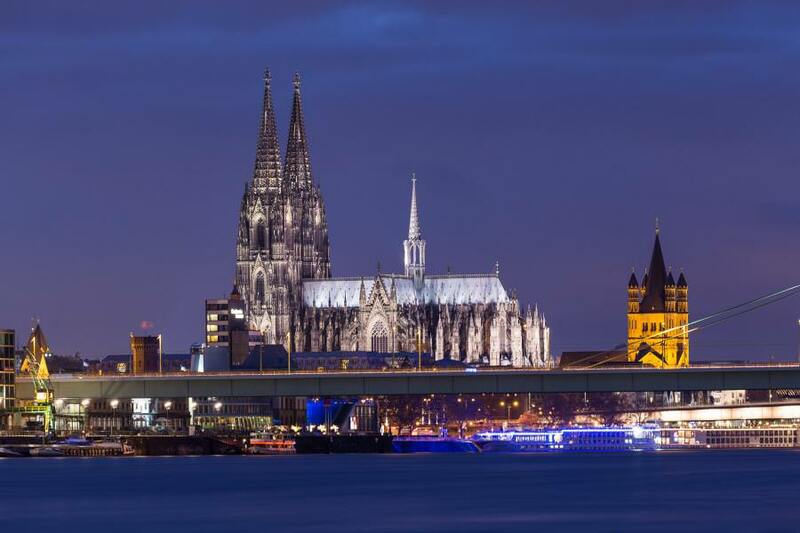 This magnificent top-tier cathedral sits in which city, right in the Rhine-Ruhr industrial heartland? Appropriately, the city also houses a Fragrance Museum. Two separate teams with the name "Borussia" (Latin for Prussia) currently play in the top level of the Bundesliga. One is perennial challenger for the championship Borussia Dortmund. Which is the other, whose successes mainly came during the 1970s? This is the view from the "Philosopher's Walk" of which city, known for its academic inclinations and the pictured castle? Former members of the U.S. Army, however, are more likely to remember the view from the barracks. Germany today holds 13 "area-states," as well as the independent cities of Berlin and Hamburg--together with what 16th state, officially named a "Free Hanseatic City?" Literature lovers may recognize it as the hometown of a rascally band of musicians. Created in 1909 by merging three cities, what is the name of the capital of the German state which was a French protectorate after the Second World War, until a referendum and reunification with Germany in 1957? Many German cities have an underground rapid transit network known as the untergrundbahn, or "U-bahn." Car lovers and Kraft werkers will already be familiar with the "Autobahn" highway system. 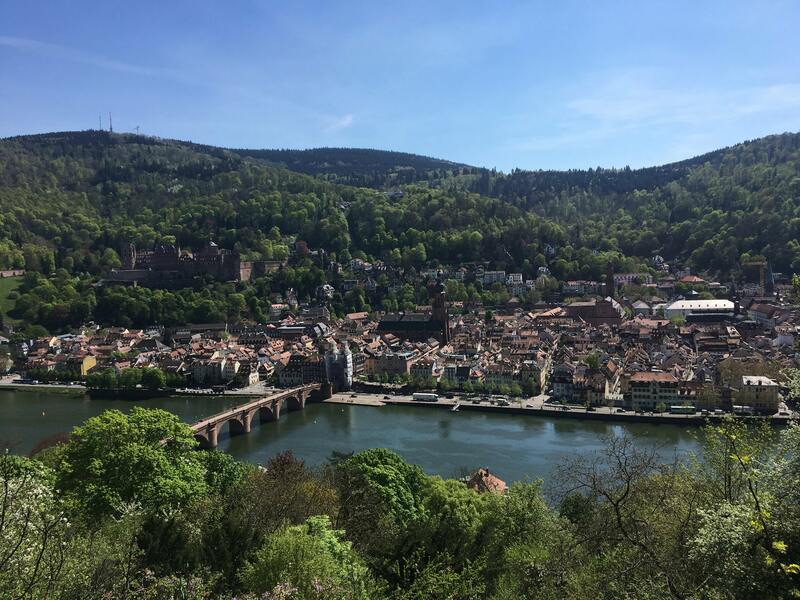 What is the similarly named system of regional or commuter rail systems serving most urban areas in Germany--including several interlaced ones along the Rhine river? Full name or abbreviated will do. The name of this town may suggest a cheesemaking tradition--however, the eponymous fragrant cheese is native to towns with the same name in Belgium and the Netherlands. Which German town is this, whose claim to fame, rather, would be as capital of a short-lived republic called the "Free State of Bottleneck?" 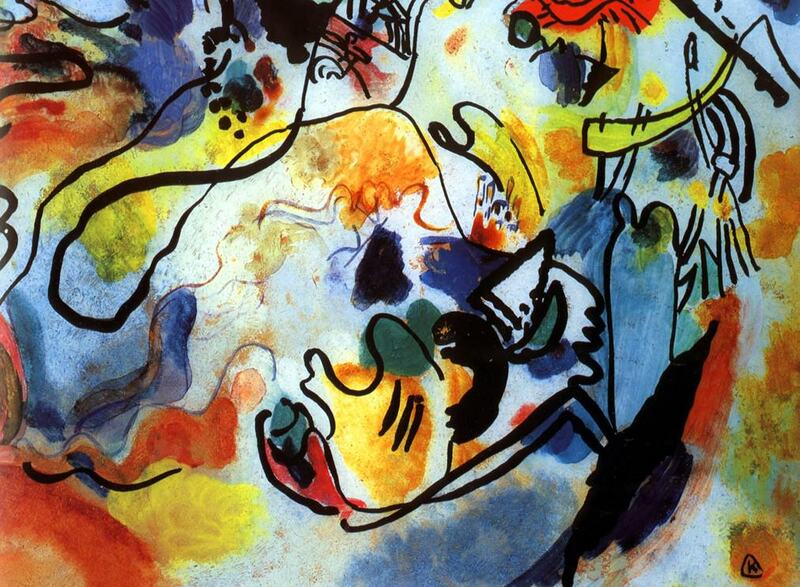 In 1911, artists' collective "Der Blaue Reiter" (The Blue Rider) formed in Munich, in response to the rejection of one of the founder's works, The Last Judgment (pictured), from an exhibition. Who was this founder and theorist, originally from Russia? This city, equidistant from Frankfurt and Nuremberg, is hometown to Dirk Nowitzki, place of the discovery of X-Rays, and in 1626 also the site of one of the largest mass trials of all time, when the municipality tried and burned between 600 and 900 witches. As of 2002, the Rhine river gorge is a UNESCO World Heritage Site, with Bingen marking the southern end. What city marks the northern end? It's also known for its Roman era history, as evidenced by its etymological roots in the Latin "confluentes."